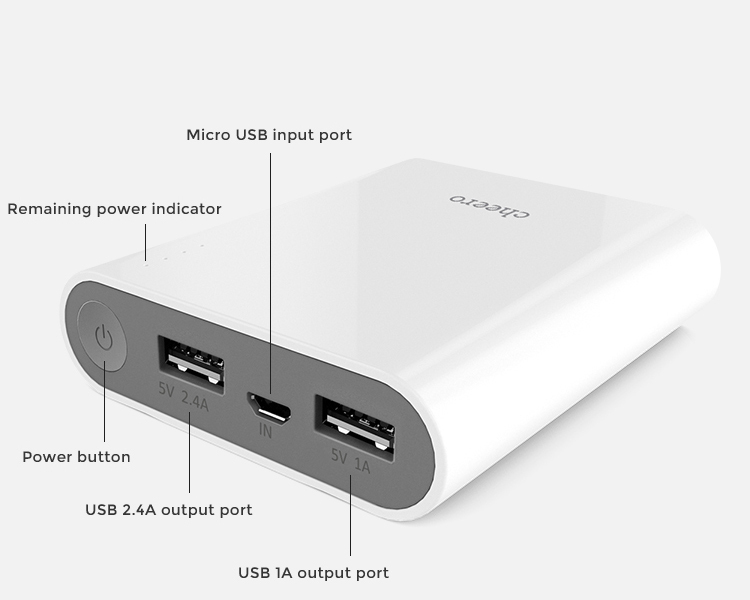 We are proud to release the safest and high quality power bank. Contains Panasonic battery cells made in Japan! 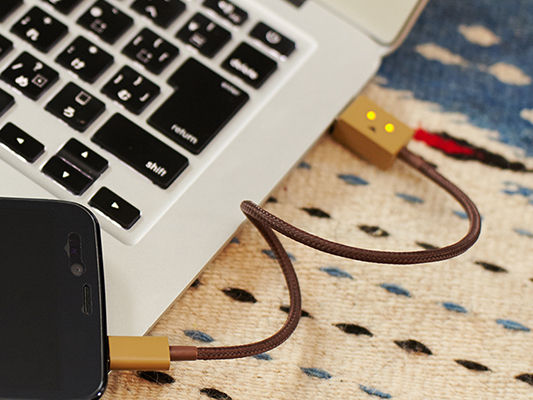 For only the first 3,000 units, each Power Plus 3 is equipped with a dual cable (MFI certified Lightning and Micro-USB). 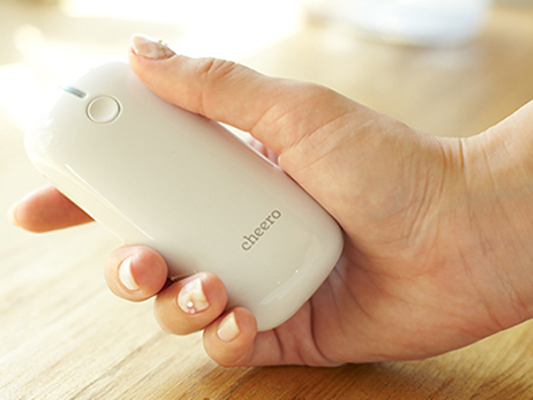 A safe and secure design powered by a high quality Japanese-made battery. 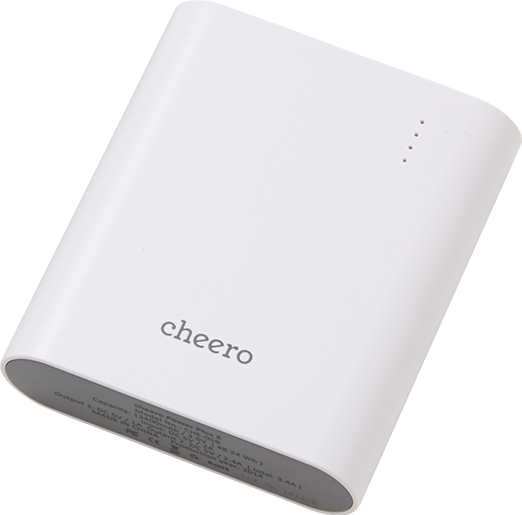 'cheero Power Plus 3 13400mAh has the highest quality to date. We use a high grade Japanese-made battery in every unit. For added safety, every Power Plus 3 is encased in a fireproof plastic material (UL 94V-0) in the event a fire starts in the hardware. cheero is always working hard to create the safest and highest quality products at an affordable price. To achieve this, we cut out all extra costs that we can to meet our customer's needs. Here at cheero the customer comes first. 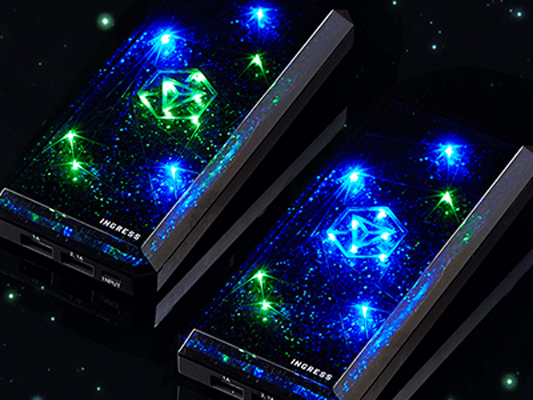 The cheero Power Plus 3 13400mAh is a masterpiece we would like to share with you. We were able to create a high capacity and ultra compact product at the lowest price achievable. This ultra compact design comes with a capacity of 13400mAh. No more worries about running out battery! Power Plus 3 13400mAh can charge iPhone up to 5 times and multiple charges for other smartphones. We managed to create a battery with the highest spec possible at the lowest price by cutting extra costs. We are proud to introduce the highest quality and performance mobile battery on the market at a reasonable price. Not supported depending on the model. 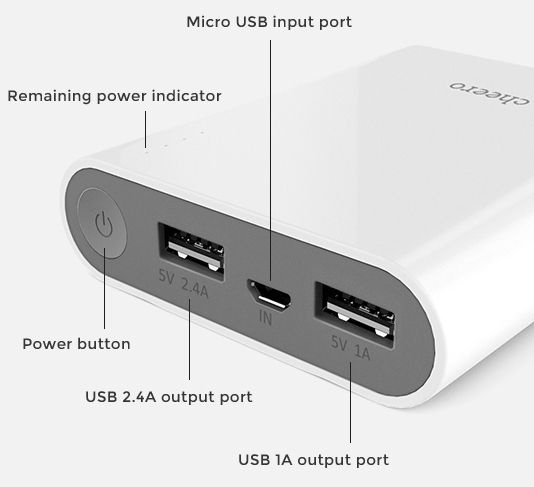 For only the first 3,000 units, each Power Plus 3 is equipped with a dual cable (MFI certified Lighting and Micro-USB). 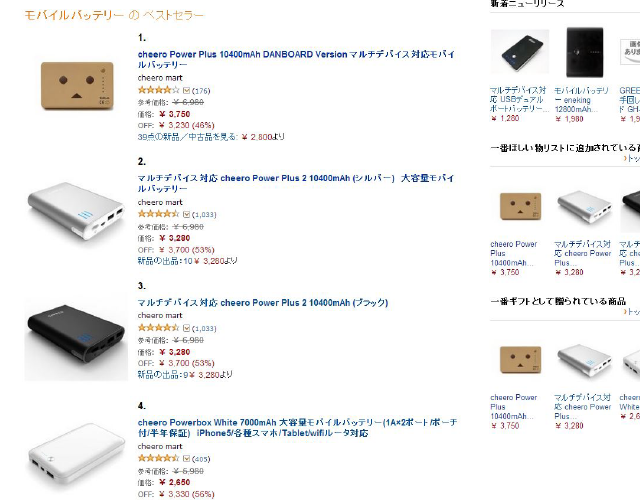 TWith an ultra-slim size, Danboard Plate (4200mAh) still can charge iPhone fully up to 2 times and Danboard Block (3000mAh) up to 1.5 times. It’s pretty enough when you are on the go. This innovative device is causing a breakthrough in the industry. High capacity, top quality components, fast charges, and a low price, all in one package! It will give you peace of mind on the while traveling and in case of emergency. 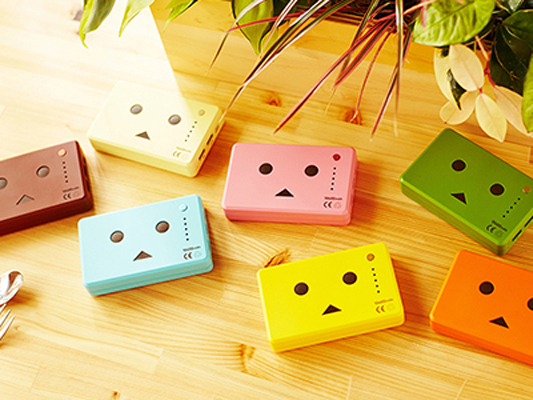 The high capacity (10400mAh) Danboard Battery is now available in 7 new colors as a "FLAVORS" model ! It would make a great gift for your family or friends ! 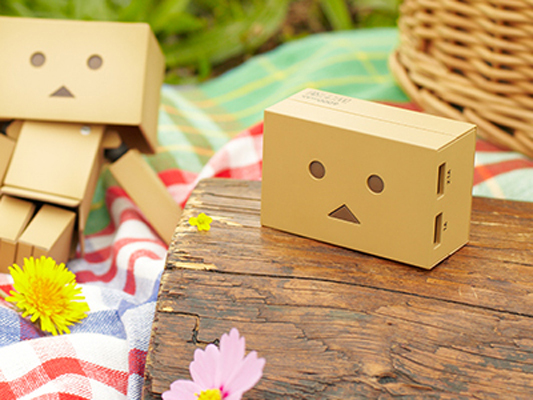 A popular "Danboard" character from Japanese "Yotsuba !" manga cartoon made into a USB cable! 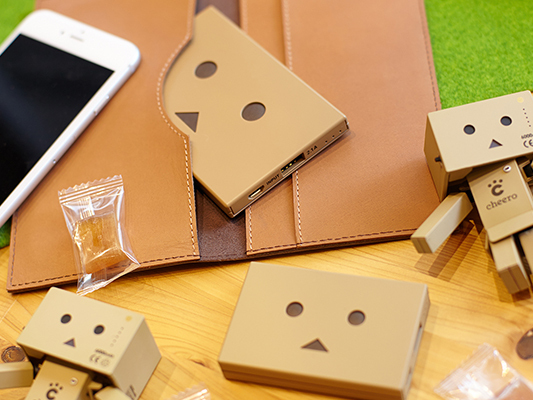 Its USB plug part is designed as Danboard's face, while the chord part is made of stylish fabric material, difficult to get entangled. Palm-sized, but high-capacity (charges iPhone up to 2.5 times) external backup battery with lovely design, ideal for your travel. One click on its mouth starts charging your device and turns on the eyes light for a while, to show its remaining power. 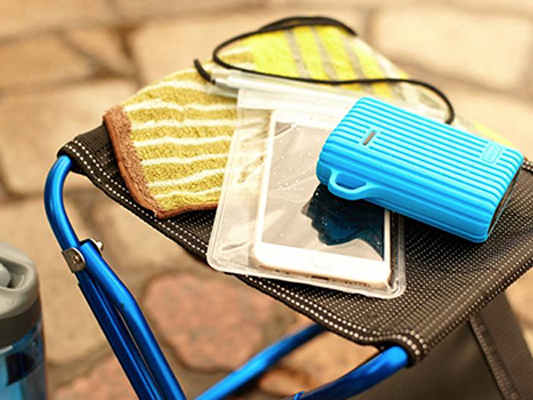 Dust-Proof, Water-Resistant, Shock-Resistant| With the dust-proof, water-resistant ( IP66 resistance level ) cheero Tough 9000mAh, you can rest easy knowing that you have a reliable power source wherever you go. 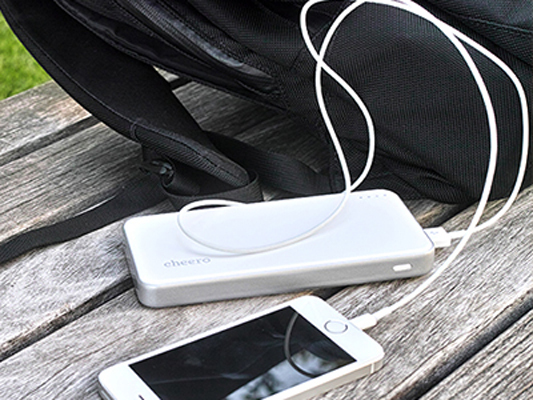 Although it is small, cute and easy to carry, the cheero Grip 2 has a battery capacity of 5200mAh, enough to recharge your iPhone twice! cheero's main priority is safety. Our number one priority when creating products, is the safety of the consumer using it. Here at cheero, we believe that the accuracy of product components and materials is pivital when consumer safety is at stake. Over the past 30 years, we have strived to make product safety the fundamental cornerstone of our bussiness model as a manufacturer of precision machinery components. Cheero product concept and design are made in Japan and assembled in China under strict Japanese quality standards. We use only top quality internal board chips and battery cell to maintain our safety and quality standards. We do not compromise when it comes to quality products. Our defective product rate is currently at 0.2%. Although we have a high success rate, we our striving to achieve a defect rating of 0%. All in cheero products come with a six months guarantee. If your product has a defect, please contact us with your order number and breif description of the defect. Upon receieving your message, we will send you a pre-paid label to replace your product right away. ※Our office is closed Saturdays, Sundays, and public holidays. For any messages receieved on those days will be answered on the next day of operations. We apologize for the inconvenience in advance. 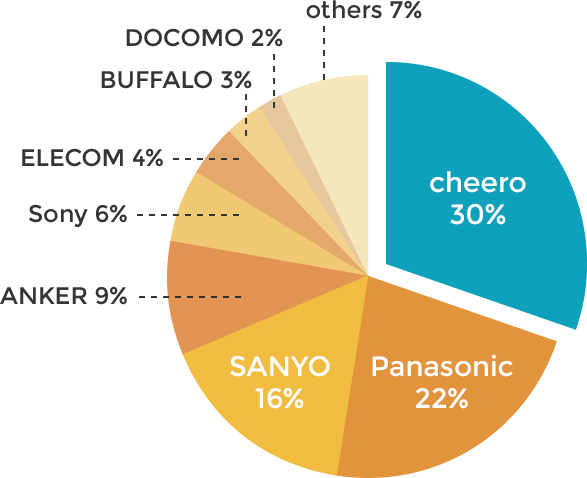 cheero is a Japanese distinguished gadget maker and was founded in 2011, with the hopes of "delivering good quality products at a reasonable price." 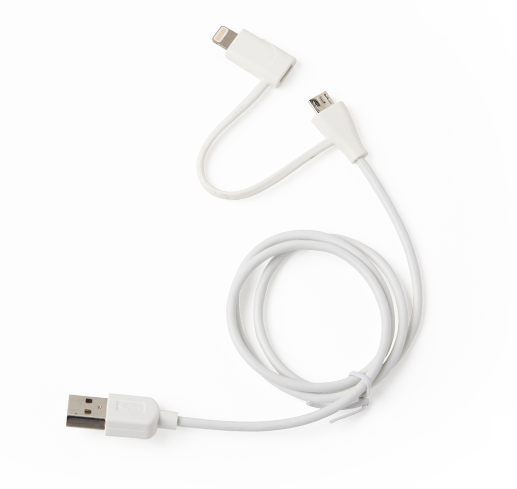 Please "like" our fan page and be updated on the best in digital device accessories from Cheero. Your cheeful digital life. special sales requirements via our contact form.